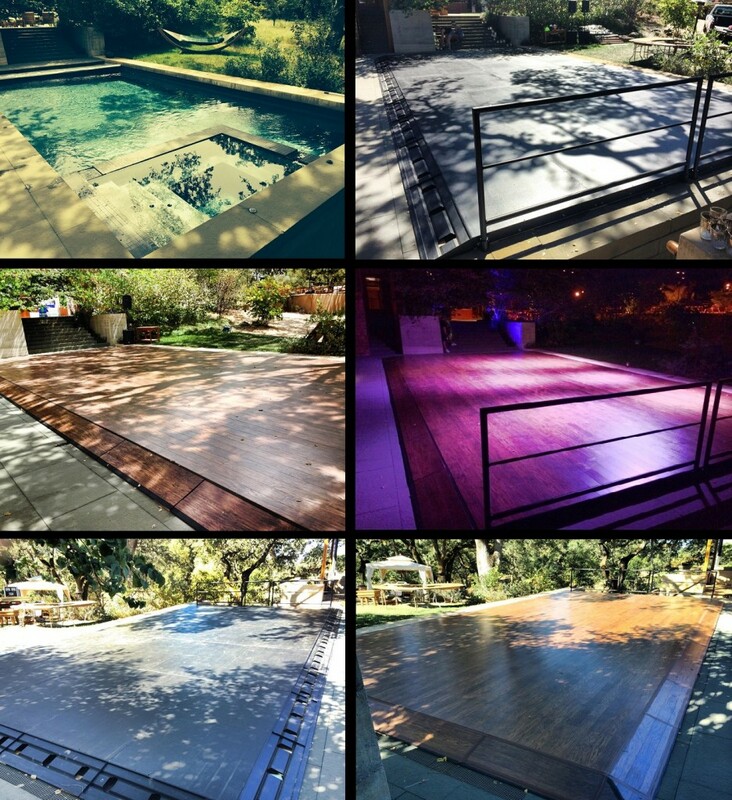 Stage CMDR is the premier staging company in the United States to select for any pool cover job. Its their specialty. No 2 pools are alike and no 2 property layouts are the same. 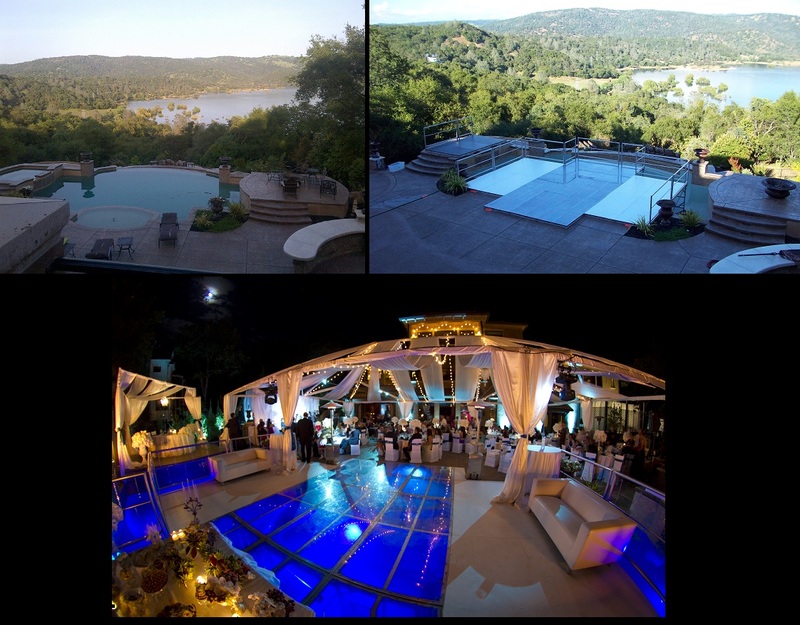 With the amount of prep work that goes into each pool job and the attention to detail to cover all the angles in the structural design, they guarantee that the stage will perform as if it was constructed on cement. In over 13+ years of building stages over pools and over a 1000’s pool jobs later, not one pool has been damaged, and not one stage has failed. 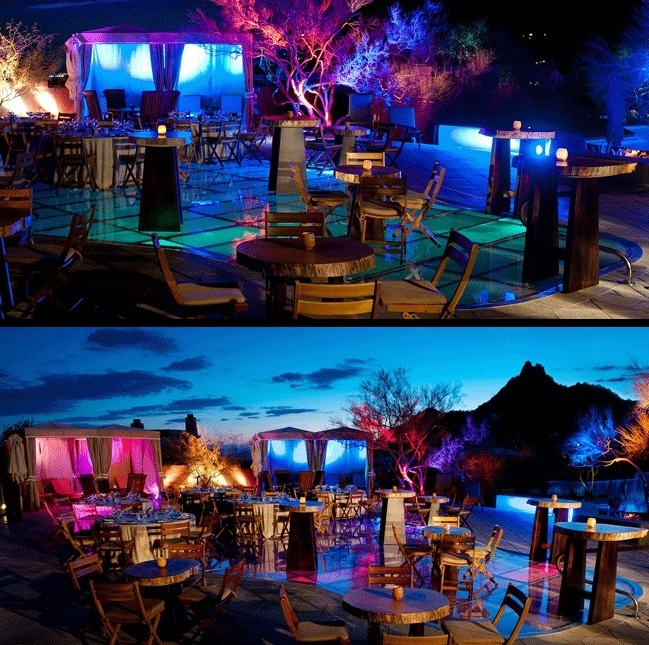 There are 3 different ways Stage CMDR can construct a stage over a pool, fountain, or body of water. Different shapes, depths, heights, with or with out negative/infinite edges, water filled or empty, all present no barrier to restrict anyone from renting a pool cover from Stage CMDR. 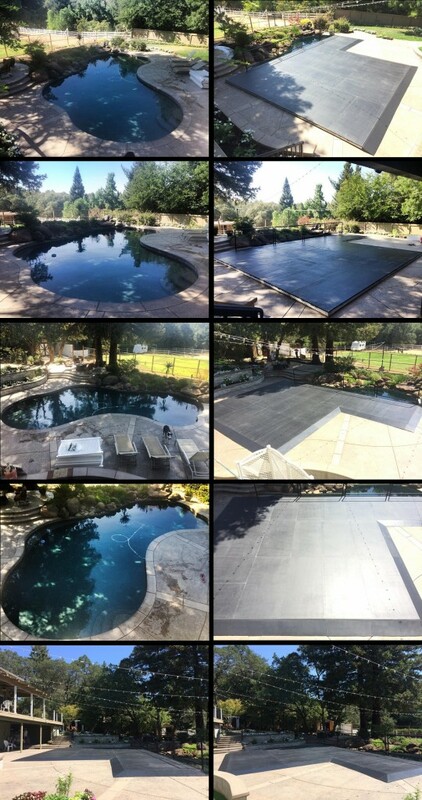 All pool projects come with an engineered certified weight load capacity so you and your guest can have a peace of mind knowing you can drive multiple semi trucks on our stage over your pool and it will not fail. 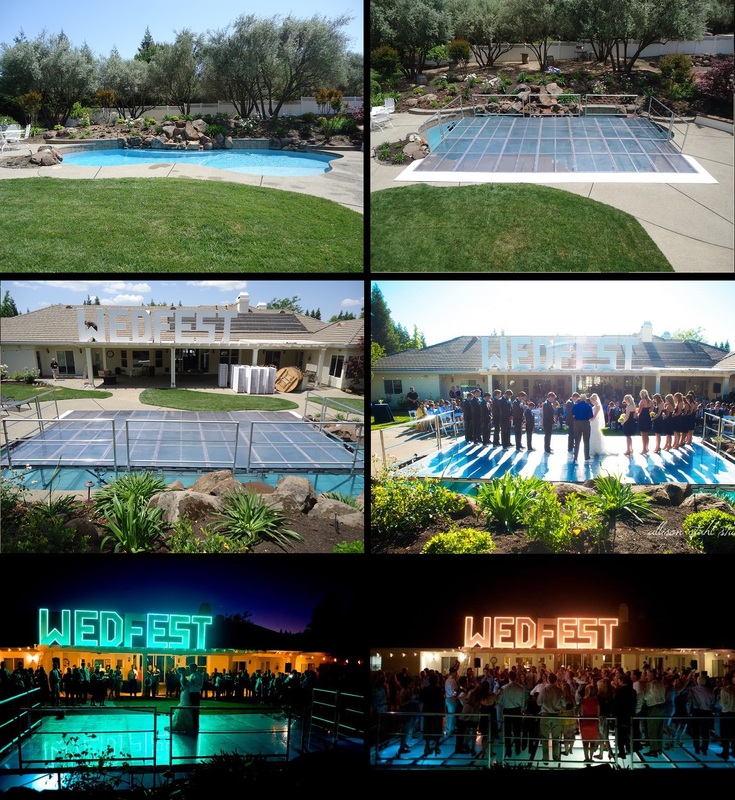 Multiple different options to give the pool cover different looks and also allow for different uses of the stage throughout the event are available. With all the staging amenities that are available through Stage CMDR, building a pool cover can be budget friendly. To display true professionalism and a master of trade, Stage CMDR even employes the one an only and 1st of its kind in its industry the, “Underwater Stage Scaffold Dive Team”. Anybody can assemble a stage on land, but working underwater is a whole new element that the Stage CMDR “Underwater Stage Scaffold Dive Team” has mastered. Each dive team member is scuba certified and has been company certified through the USSDT training program that was created by Stage CMDR and is only offered through Stage CMDR. Rest assured, every client knows that the stage being built over their pool is being assembled by a team who has mastered the art of working underwater. A clear and custom painted white pool stage that was a duel purpose surface used for a wedding ceremony and dance floor. Also added was a small stage over the spa for the DJ. This stage had a 96,600lb weight load rating. 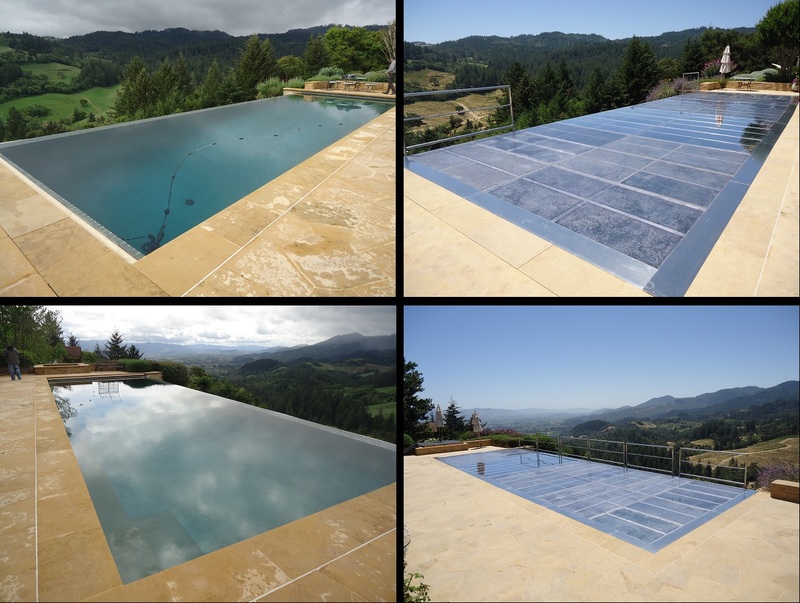 A 51×16 flush mount clear stage over a pool with a negative edge showcased in Napa Valley, Ca. This stage had a 110,400lb weight load rating. A 40×20 stage over a pool and a spa with bamboo laminate flooring installed with flush mount on 1 side, handrails on 1 side, and custom engineered and manufactured transition ramps with laminate flooring installed into each ramp on 2 sides. This stage had a 115,000lb weight load rating. 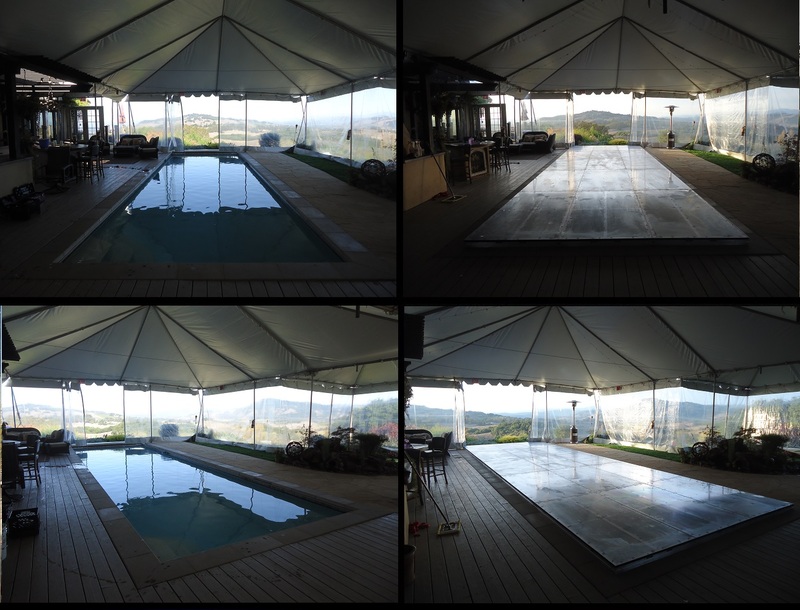 A 28×16 clear stage over a kidney shaped pool with custom painted white transition ramps. This stage had a 73,600lbs weight load rating. A “L” shaped standard black stage over a kidney shaped pool covering 95% with black transition ramps on 4 edges and black handrails on the water exposed edge. This stage had a 96,600lb weight load rating. 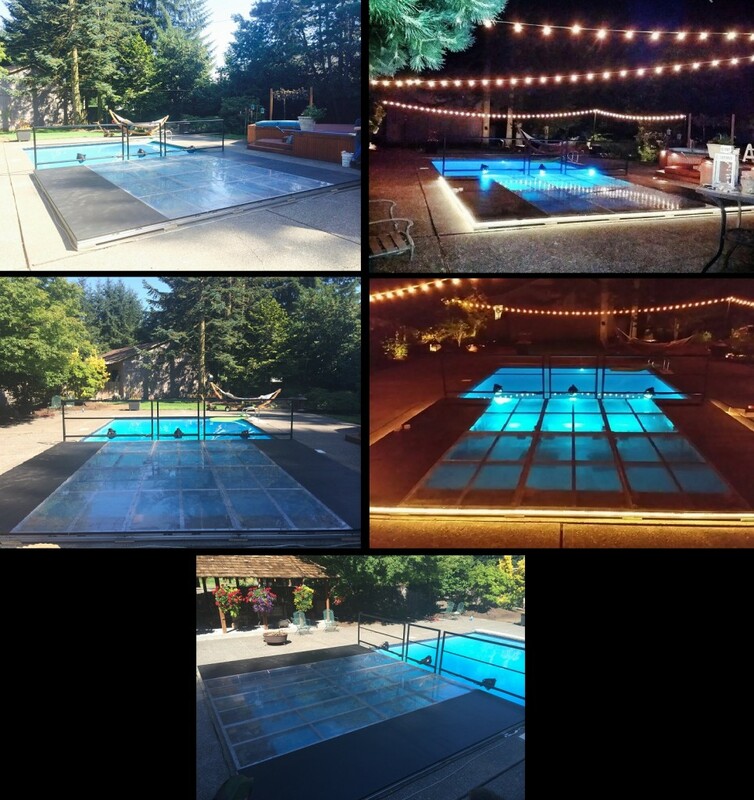 A 20×16 stage with clear decking on the center portion and black decking on the outside edges covering 50% of the pool and with out transition ramps. Black handrails with lights clamped to illuminate the water under the clear portion. This stage had a 46,000lb weight load rating. A 16×16 stage with 8′ sound wings. Top photos show standard black decking and black rails. 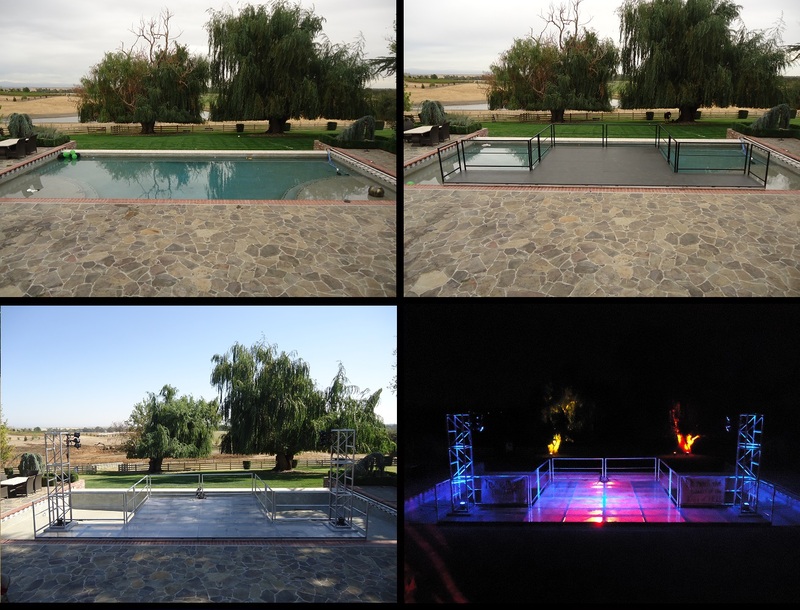 Bottom photos show clear decking, silver rails lights underneath the stage illuminating both the stage and pool water. This stage had a 46,000lb weight load rating. A 40×12 clear stage with no transition ramps. This stage had a 69,000lb weight load rating. A 16×12 clear stage over a spa with LED lights underneath it. This stage had a 27,600lb weight load rating. A 32×4 runway over a fountain using standard black decking. A 40×16 stage over a pool using standard black decking. This stage had a 92,000lb weight load rating. 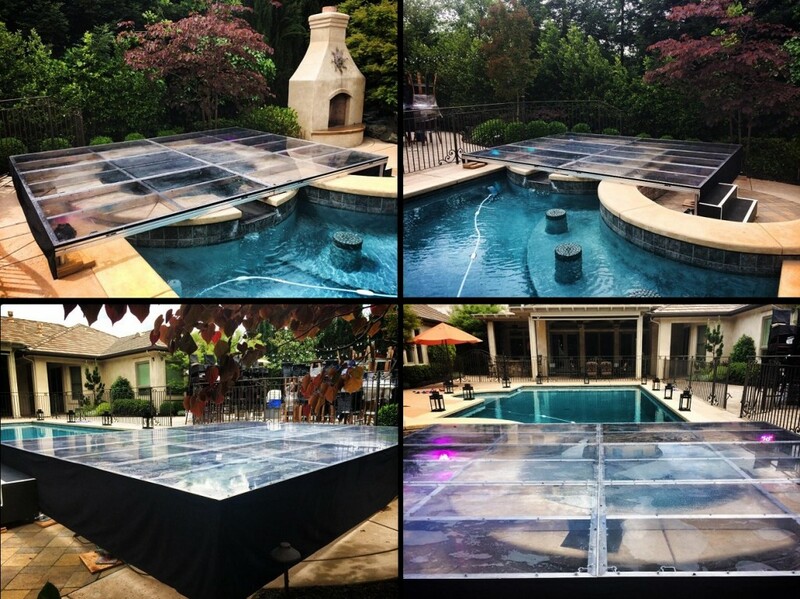 A 8×24 clear stage over a fountain and a 42×15 clear flush mount stage over a pool. A custom clear flush mount stage over a pool with angled and rounded edges.